How to make personalised notebooks online? 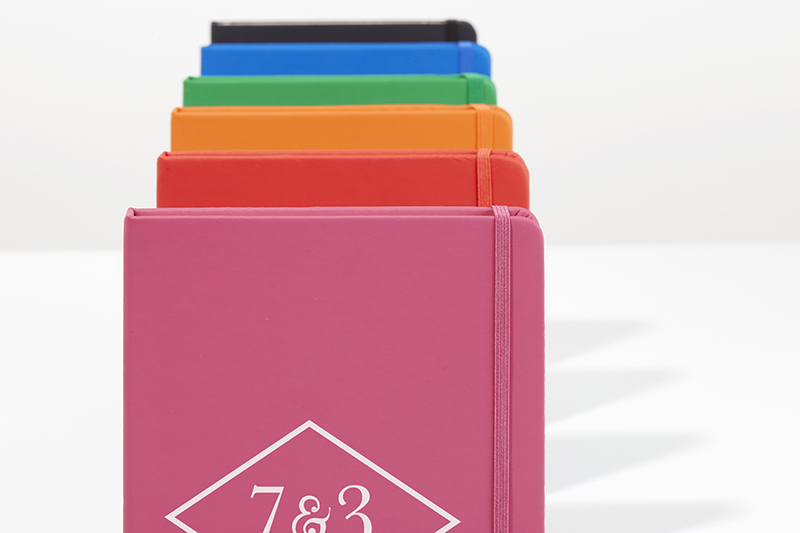 One of the latest products on Camaloon this September are personalised notebooks. They are the perfect promotional item for going back to the routine after summer. Creating notebooks online is really simple: thanks to our editing programme you can upload your logo or creation without any problems. What do you need to know before you start creating your notebooks online? The first two models available are very similar to A5 size (14.7 x 21 x 1.5 cm) and A6 size (9.5 x 14.5 x 1.5 cm). A6 is the smallest portable format and is known as a pocket notebook. With silk-screen printing you can use images (logos or drawings) in a maximum of 1 or 2 colours.The printing area varies depending on the notebook size, which is 10 x 18 cm for medium-sized notebooks and 6 x 12 cm for small or pocket notebooks. All notebooks have 100 pages. Both sizes have blank pages and some of the A5 notebooks with coloured covers have ruled pages. If you want to choose silk-screen printing, you can make a minimum order of 50 notebooks. 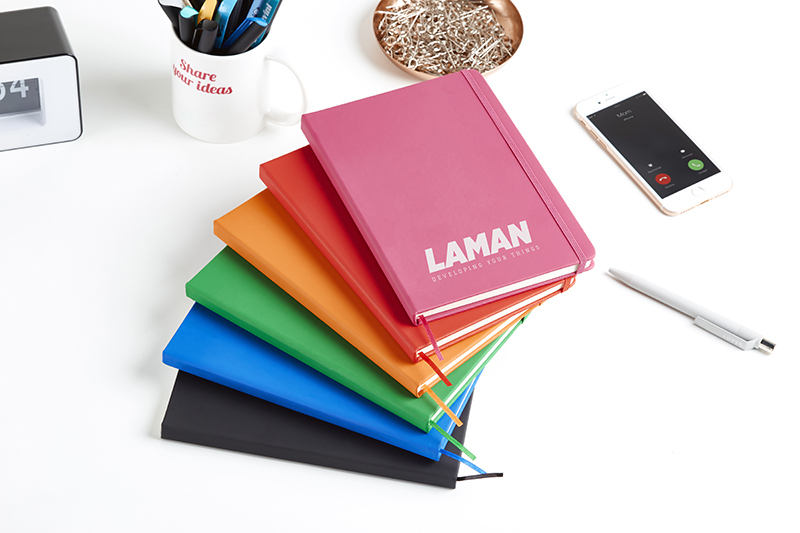 Once you've chosen your design or logo (with one or two colours) you can completely personalise your notebooks by choosing the notebook size, the cover colour, the side you want to print on and the type of pages you'd like. 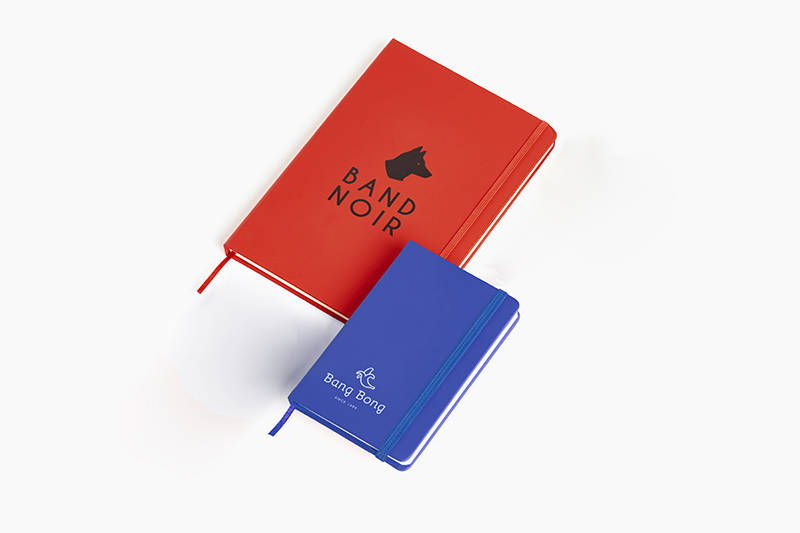 Thanks to our online editing programme, you can obtain a preview of your notebooks with your logo and make all the changes you want before you place your order. If you're dying to start creating your personalised notebooks for your company or brand: Take note!